President Trump has signed a continuing resolution to keep the government running through Dec. 21, when funding for the Department of Homeland Security and other agencies will expire. The resolution was approved by voice vote in both the House and Senate Thursday. A partial government shutdown was set to occur if Congress could not agree on outstanding funding bills by Dec. 7, but Mr. Trump and members of Congress agreed to extend the deadline after the death of former President George H.W. Bush. Mr. Bush lay in state at the Capitol on Monday and Tuesday, and his memorial service at the National Cathedral in Washington took place Wednesday. Congressional Democrats and Mr. Trump are currently stalemated over funding for a border wall between the U.S. and Mexico. Mr. Trump has said that he is willing to let the government partially shut down if he does not receive $5 billion for the wall. Meanwhile, House Democrats, who take the majority in January, refuse to consider full funding. "Could there be a shutdown? There certainly could," the president told reporters in November, implying a veto threat over funding for his signature campaign issue. "And it will be about border security, of which the wall is a part." 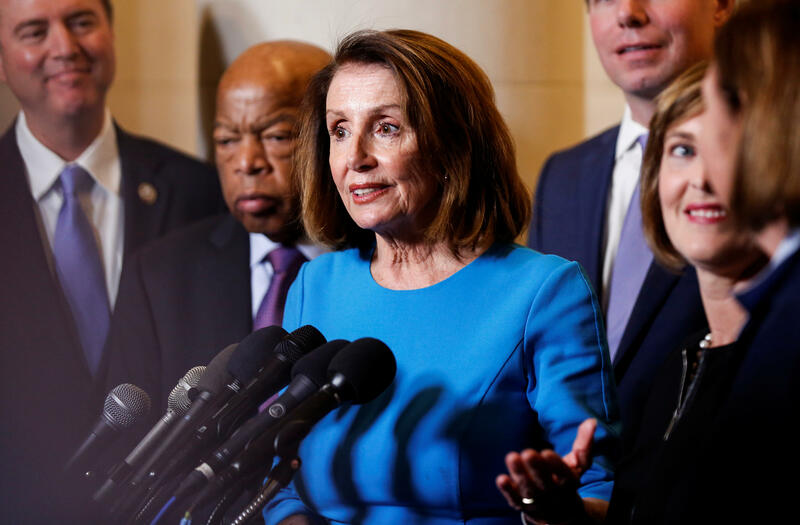 House Democratic Leader Nancy Pelosi said at her weekly press conference she would not support portions of wall funding even if it were paired with a decision on the Deferred Action for Childhood Arrivals program, which Mr. Trump has ended. "They are two different subjects," Pelosi said. She advocated for passing the other remaining six appropriations bills and then passing a "full year" continuing resolution to fund the Homeland Security bill. This means that funding for the Homeland Security Department would continue at the same level as this year, rather than at new funding levels for controversial items like the border wall and detention beds. Pelosi and Senate Minority Leader Chuck Schumer will meet with President Trump on Tuesday to talk about government funding. In addition to the Department of Homeland Security, Congress must pass new disaster funding, and renew the Violence Against Women Act, the farm bill and flood insurance.